I am Jane, the blogger behind the blog. Card dealer at night, wife in the morning. At my free time I just go to the gym and sweats off all my frustrations and stress. Loves to travel too & wear those beautiful dresses. ?Philippines – California USA?. Let us face it, a beautiful woman makes a bigger impression than a plain looking woman. On top of that a woman with luscious hair will be noticed first when next to a woman with bad hair. There was a time when wearing a wig was uncommon and women would just spend lots of money going to a salon to have their hair cut in the latest hairstyle or have it permed. Hair is our crowning glory and a lot of people spend a lot of time making a fuss over it. Good thing that nowadays anyone can wear a wig whenever they want to. It is a given though that the wig should look real so the quality of the hair piece is important. Wigs, hair replacement systems, extensions etc. can now be purchased anywhere. There are many online stores where you can buy them and one of the more trusted store is Divatress, a leading e-commerce company committed to becoming the most loved wig retailer on the web. No matter if it is weaves, lace front wigs, half wigs, wigs, braids, ponytails etc., Divatress can provide it for you. Divatress offers thousands of wigs and black hair care products from brands like As I Am, Black & White, Creme of Nature, Dark & Lovely, and Hollywood Beauty among others. Divatress has a vast selection of half wig that will help meet your style wants and needs. Whether you want a fuller hairstyle for a special date or night at the town or want bigger body and style for your everyday look. Any woman will look fabulous whether they are wearing human hair or synthetic half wigs as long as they are from Divatress. Among the types of half wigs they have are drawstring and quick weave which you can wear into a ponytail or when your hair is down. Divatress’ half wigs will help blend into your natural hair color so it is not obvious that you have a wig on. Looking for the best online shop to shop? if so, why not checking this new website here that gives some great deals to get. And they are called as Stylebest.com. Actually, at first I am bit worried about in buying to them because the shop alone is pretty new and I haven’t get to see any reviews yet to them but of course i should need to take the risk in getting my fave items to them as they sells them in superb cheapest than as you buy them off in any brands at the mall. The shop is actually carrying some new brands that you might consider though these brands aren’t that well known yet like on what the brands you usually get but am telling you that all of their items were incredibly awesome as they’ve got all the trendy pieces for both men and women as regards to fashion today. You can actually check it yourself and see it your bear eyes on how lovely their pieces were. Currently, the shop offers Up to 50% off Big deals at stylebest.com for you to enjoy their high quality made items and if you are fond in spending much, possibly you can get a lot of items in a very minimal prices, like for example if you Orders over 100$ save 50$ guaranteed and you can spend the other half into the other items you’d wanna have. Such a awesome deal isn’t? so what are you waiting for? Go check the shop and get the items you’d be wanting. For more details about their sale and other great deals. You may simply check the banner on the top for you to be directed to the proper link where you can finds the full details on how you can avail. Enjoy your shopping folks! Getting engaged is a big deal and if you are finally taking the plunge and moving your relationship to the next step, you have a lot to consider. Firstly, congratulations! Proposals are often supposed to be romantic, but most people don’t realise that proposing is so personal. Some women love the idea of a lavish, public affair, and others would cringe at the very thought. Hopefully, by being at a stage you wish you to propose to the woman you love, you know her enough to know which type she is! Adventure. If you are a couple who love to go on long hikes and seek out new places with a view to die for, why not combine one of your ordinary adventures with an out of the ordinary proposal? Plan a trek up a nearby mountain, make it early morning so that you catch the last vestiges of sunrise. Get to the peak of the mountain and find an exciting proposal spot. Have your girlfriend take a panoramic photo and as she pans around to you, you’ll be on one knee. Sports. There are couples out there that go absolutely nuts for certain sports; it’s a shared love and one that can be incorporated into a proposal. If your girlfriend is a baseball nut, endeavour to have a baseball signed by her favourite player, then slice it in half and nestle the ring inside for her to see. If basketball is your sport of choice, speak to the stadium owners and see if you can get a proposal lit up on the ‘Kiss Cam’ and give her the surprise of her life. Sweethearts. Have you been together since your young school days? Did you used to pass notes in class in the silence? If you’ve stayed childhood sweethearts, whether high school or middle school, collaborate with your old school and arrange to have a note in the locker she used to use with your proposal on it – old school style. Set up a party in the school hall prom-style with all your friends and family afterward. Your proposal doesn’t have to be a standard one, but making it unique and personal to you should be the goal. The way you propose sets up how you imagine married life to be; make it a good one! Collecting is a serious hobby for many and a casual pastime for others; from coins and baseball cards to Jim Shore figurines and garden gnomes, the search for and acquisition of the next piece in a collection is something that delights hobbyists from every corner of the globe. 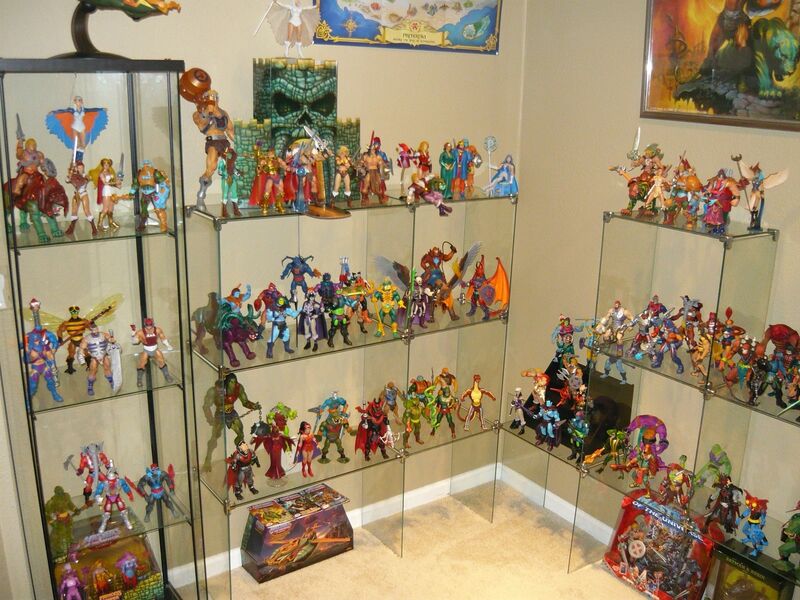 While the steps to becoming a collector are certainly simple, the evolution of any collection can span years. Although it seems obvious, new collectors must decide what to collect; more specifically, they must choose an area on which to focus. For example, a collector of sports memorabilia may want to collect only baseball memorabilia or items from a certain team or player. Others focus on a certain period in history for their unique collections, making the hobby one that is highly subject to personal preference. Research is another important part of becoming a successful collector. After all, learning about the most common, rare and highly sought items in any area will make it far easier to recognize a piece that must be immediately added to the collection or reject one that is more expensive than it should be. Like any hobby, maintaining a budget is a good way for collectors to ensure that they are not exceeding the amount of money that they can afford to spend on the activity. However, another important part of becoming a collector is to determine whether the collection is intended as personal, investment or both. Similarly, researching prices is a good idea not only for budgetary concerns, but for expanding the collector’s horizons in terms of finding pieces that he or she never even knew existed. While shopping for collectibles online is often the fastest, most convenient way to bolster the size of any collection, there are still plenty of other ways to unearth those items that are hard to find. Although shopping standard retail stores may not yield the results that a collector is hoping for, those who take the time to explore secondhand stores, church rummage sales and auctions may find interesting additions for their collections. Estate sales are also an excellent way to find new items for a collection. However, instead of waiting to stumble upon a sale at a former collector’s estate, peruse forums and other online communication resources to determine when and where such events will occur. Looking for the casual finds that can rally compliment your body, girls? if so, why not checking this brand called Zanstyle at Stylebest where the brand itself is selling some good stuff that can make you look fine and dope. Actually, I lurked this brand for quite awhile now and usually they are a order base which means you’ll have to order first before they can make the piece for you but not anymore as the brand has partnered with the shop called Stylebest.com where they have their own section there and posted up already all of their items to choose from with. All you have to do is to check the shop yourself and pick some items that you’ll find useful on your end. If you are asking me on what is the best for casual look, I’ll then suggest you this Flounced Cold Shoulder Dress because this design is pretty trendy today for all the women and even celebrities are wearing it hence it was the most safest dress that you could ever have if you wanted yourself to be fine and in for today’s fashion. You can actually pick some at the shop mentioned has zanstyle had stored a lot for you to choose from with. Another good thing about this brand is, they did also sells some for men and they’re men’s collections are really good, I am telling you! Because these men’s finds they’ve got are all the finest and they are currently in trendy hence a lot of men are pleased to have that’s why no doubt why a lot of men are now seeing to this brand to have. So, what are you waiting for, folks? go shop to them now and be such fashionable like your icons. Let’s face it; literally everyone worries about their wedding day turning into a wedding disaster. Even if it’s something that rarely ever happens, that worry doesn’t just go away. So, you should think carefully about you can put your mind at rest and make sure that you don’t get overwhelmed by worry and panic. 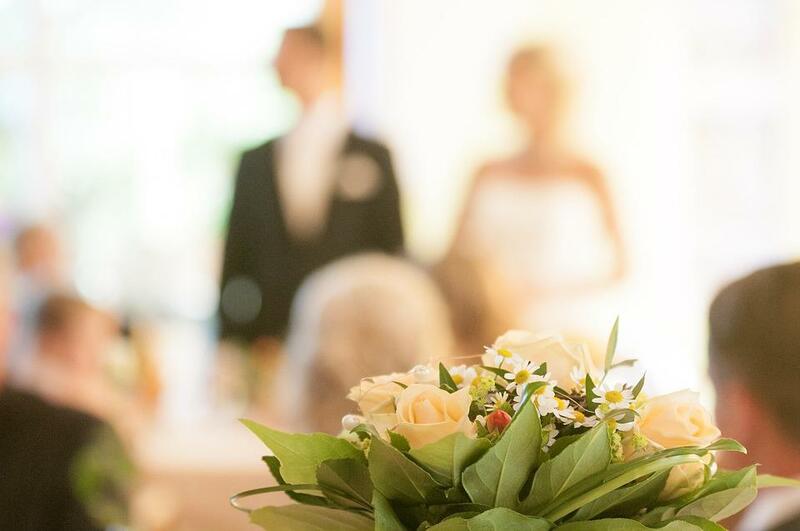 Here are some 7 things that you need to have in place to help ensure that your wedding doesn’t become a disaster and to help put your mind at ease. First of all, you will need to have a strong checklist in place. When you know everything that you need to do and need to remember in the run up to your big day, it will be so much easier for you to stay on track. There are so many things that you can forget about if you don’t have a physical list there to remind you how to stay on track and on course. The checklist should cover all the bases if you want it to be useful to you going forward. It’s something that you definitely won’t regret doing as the wedding day gets nearer. You should always make sure that you should have the right professionals taking care of your wedding day with you. If you don’t have the right professionals alongside you, you will cause yourself unnecessary problems. Sure, it might seem fine to let your cousin take the wedding photos. But is that really wise? It could just cause you more hassle on the big day, and the photos might not turn out how you want them to. It’s always safer to put control in the hands of people who know what they’re doing. The venue itself is obviously going to be very important indeed. If you can’t make sure that the venue is going to fit everyone inside it, then you’re setting yourself up for a disaster. So, check and double check how many people can safely and comfortably fit inside the venue that you choose. And then compare this to the guest list that you have in place. 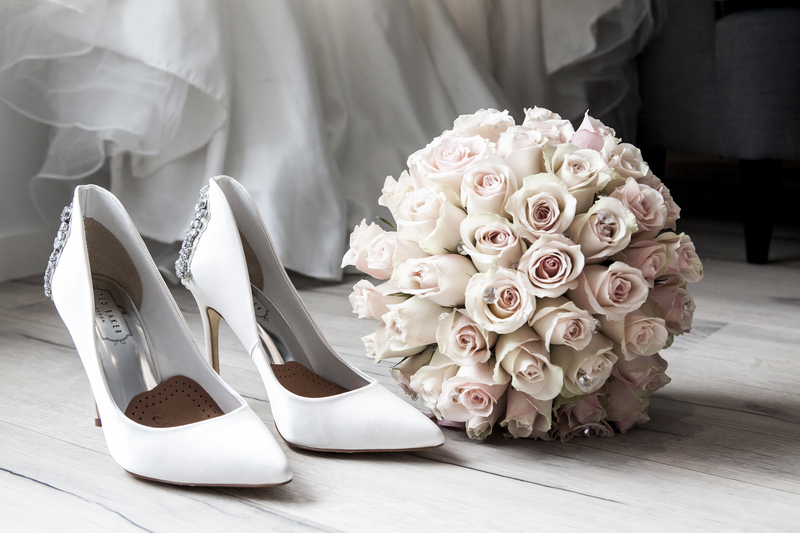 The two things need to match up perfectly if you want everything to go according to plan on the day of your wedding. Insurance cover is one of those things that a lot of people either forget about or just ignore completely. But having your wedding day covered in the right way can make a big difference. Weddings are expensive; we all know that. So, having that insurance in place to protect you is really important. Head to wedinsure.co.uk if you want to find out more about getting your wedding day insured. It could be the smartest move you make. The bridesmaid and the best man are the two most important people at the wedding aside from the bride and groom. So, if you want to make sure that everything goes smoothly and any potential disasters are escaped, you really need to make sure that you can rely on them. Of course, you choose these people based on other factors too, but their reliability should not be ignored or neglected. If they can’t be relied on to fulfil their functions on the wedding day, there’ll be trouble. Having a kit on hand that you can make use of is really important. This kit should have all of the emergency items that can save you. Whether you have aching feet or need to touch up your makeup, having that kit on hand containing the right stuff can really help you out. You should assemble the kit yourself, and make sure that it’s small enough for someone close to you to hold ahead of the ceremony. It could save your life when you’re really in need! Last but certainly not least, you’re going to need to have a plan B that can be called upon. If you fail to have a backup plan in place, you are risking disaster. Of course, some things can’t be predicted or controlled by you. But if you have a plan B in place to go to, it won’t matter so much if those things cause you trouble. So, make sure you remember that and prepare in advance. Learn more about backup plans at theknot.com. Your wedding doesn’t need to descend into disaster. And if you put all the things above in place, your wedding should go exactly how you want it to.